SkyNomad School was established in 2001 and initially developed its own training system suited to the development of the spot in Bulgaria. Later on, our work with German (DHV), Australian (HGFA), UK (BHPA) revealed that the training system we've developed ourselves resembles training systems developed by big and rich organizations throughout many years. Since the begining of SkyNomad School, UK citizens are the majority of our students. Throughout years, we've worked with BHPA schools (Dean Crosby's Active Edge, Zabdi Keen's Flying Fever) and initiated the creation and first years of operation of Fly4Seasons. In 2014, Nikolay Yotov attended coach and instructor courses in UK and became BHPA Chief Flight Instructor for Fly4Seasons. When in 2017, our partner then - Gavin Jillings decided to develop Fly4Seasons in his own direction, we parted and continued further on our own path. Ian Curier visited us, accessed our operations and we were accepted as a BHPA School. The same year we had our first EP and CP graduates. 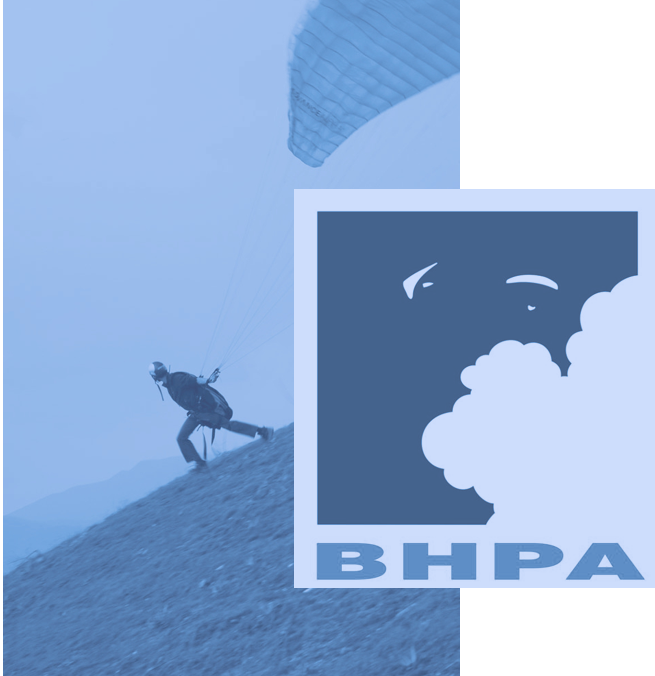 - EP is more expensive but by joining BHPA you become part of a quite active non profit organization which defends and develops paragliding in UK. Their excellent coach system is the best possible welcoming of new pilots into local paragliding societies, clubs and flying sites. Even if you don't fly in UK, it's worth becoming a member of a reputable organization with world wide recognized rating of pilots (it doesn't automatically means that you can fly wherever you want, but you can easily convert into other national paragliding organizations), you can have adequate international insurance and through their Skywings magazine you get regularly informed about new trends, worthy stories and safety issues. - both have the similar exercises except few differences. BHPA CP teaches you the basics reverse launch and ridge soaring, which are typical for windy UK conditions. SkyNomad intermediate course has rescue parachute deployment and tandem spiral dive exercises. - CP is more expensive but by joining BHPA you become part of a quite active non profit organization which defends and develops paragliding in UK. Their excellent coach system is the best possible welcoming of new pilots into local paragliding societies, clubs and flying sites. Even if you don't fly in UK, it's worth becoming a member of a reputable organization with world wide recognized rating of pilots (it doesn't automatically means that you can fly wherever you want, but you can easily convert into other national paragliding organizations), you can have adequate international insurance and through their Skywings magazine you get regularly informed about new trends, worthy stories and safety issues.